Essential Goodness for The Pilgrims is the new venture by Hey Handsome’s Chef Nicco Santos and Chef Quenee Villar. It’s the in house restaurant of Lub D Hostel in Poblacion.They’ve been in charge of the hostel’s grab and go outlet before the opening of Essential Goodness. 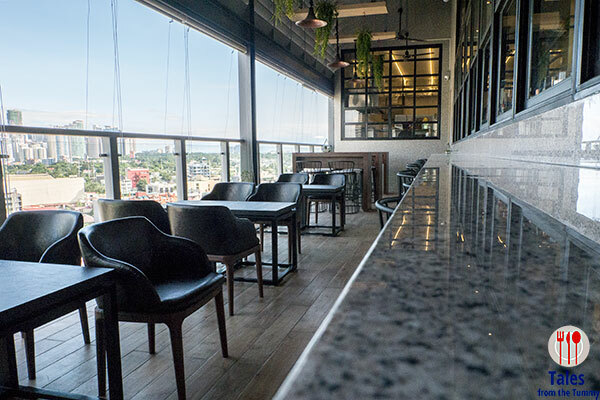 The restaurant is divided into 2 areas, the indoor seating and open kitchen which features high ceilings and cozy chic ambiance and the relaxed al fresco area. 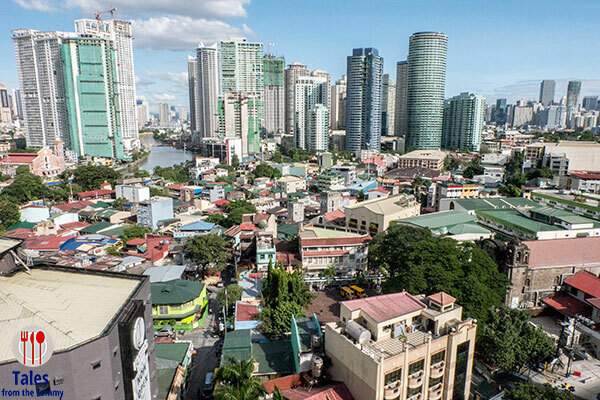 Both sides offer beautiful views of the Poblacion and Rockwell areas and should be even nicer at night. 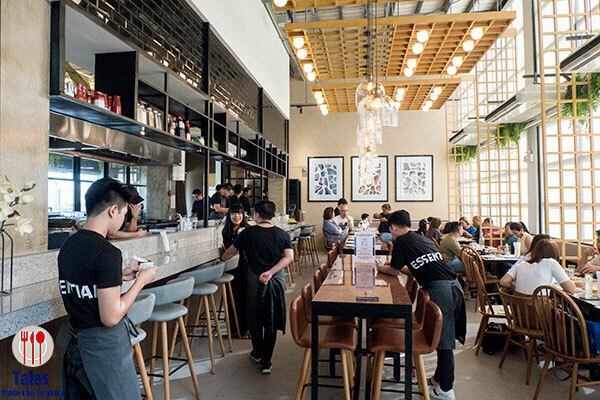 The initial menu created by Chef Nicco and Chef Quenee together with Head Chef Mark Sanchez was focused on brunch items to cater to the needs of both Lub D guests as well as diners in the area. There’s a little of everything as they gauge their new market. 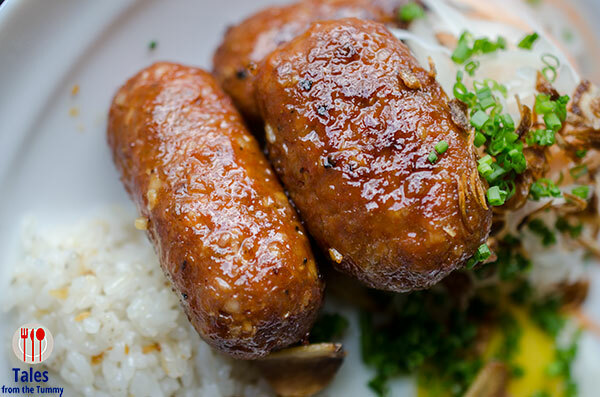 A more substantial dinner menu focused on Thai cuisine was just recently introduced. 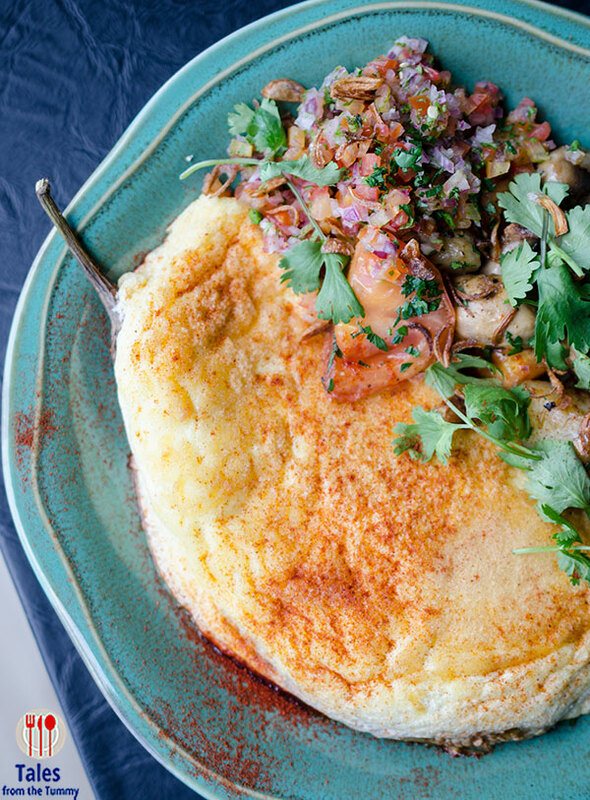 Eggplant Omelette. An elevated toratang talong (eggplant) with 3 egg fluffy as clouds omelette covering a roasted eggplant with minced beef. A refreshing tomato salsa is served on the side. Might be the best tortang talong I’ve ever had. Essential Breakfast. A gigantic plate to fill even the biggest appetites. 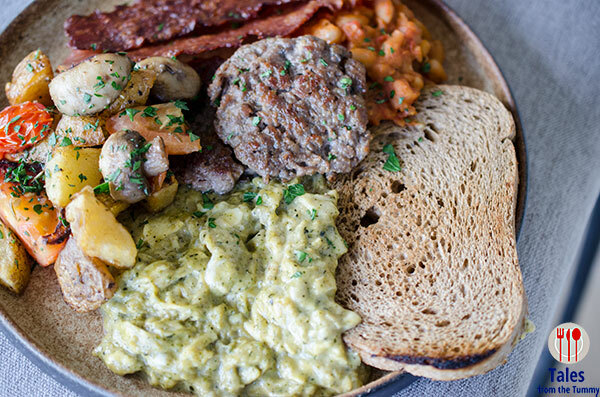 English bangers, bacon, baked beans, green eggs, potatoes and rye bread on the side. 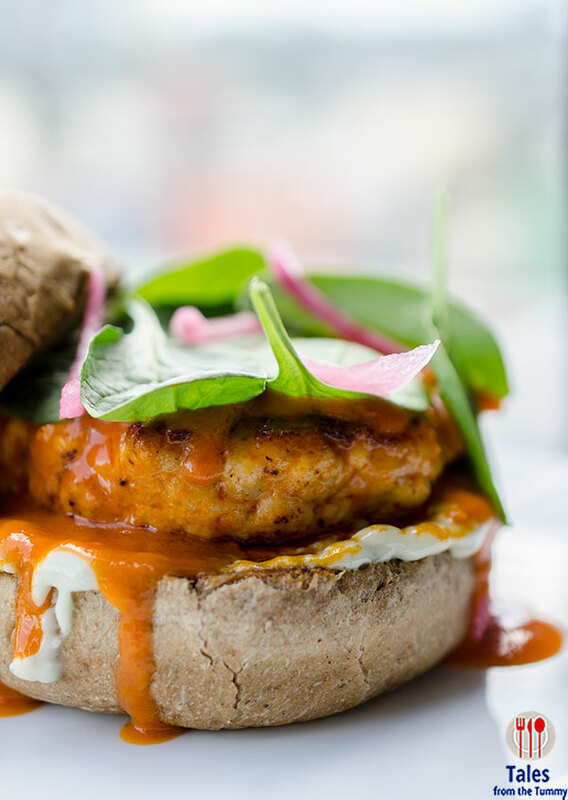 Buffalo Chicken Sandwich. Roasted chicken patty smothered in buffalo sauce, blue cheese aioli and greens in between a sesame rye bun. Good heat on the sauce to complement the meat patty while the green adds a fresh crunch. 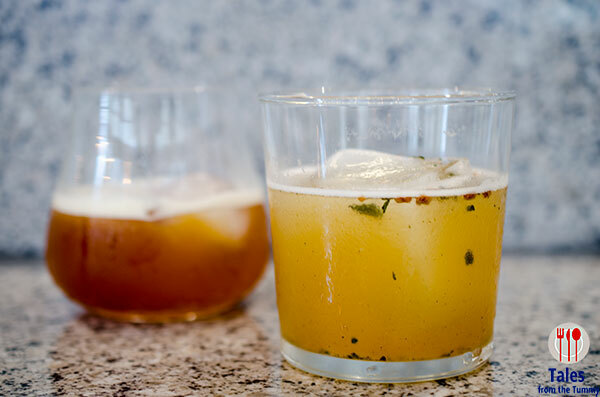 They’ve also got a great line of cocktails, like the Genmaicha and Earl Grey ones we had. Hambagu. Japanese curry is one of those things I love, it’s a mix of sweet and savory that is what my taste buds enjoy the most. 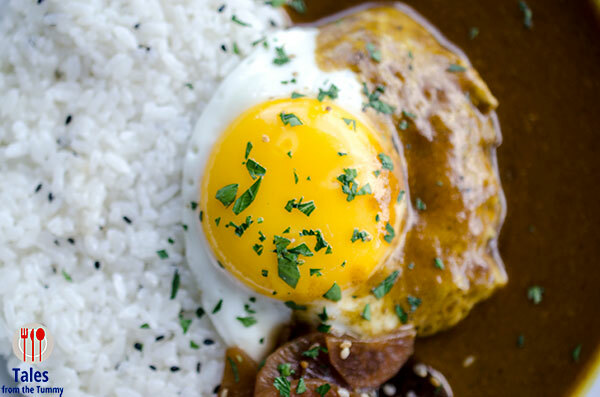 A wagyu beef patty laid on top of rice and curry sauce with a golden fried egg crowning it. Homemade Longganisa. Classic longsilog with real garlic rice and tasty atchara to pair with the longganisa. I really enjoyed the sweet and savory flavor of the longganisa so much I had to restrain myself from eating all the garlic rice. Patty Melt. 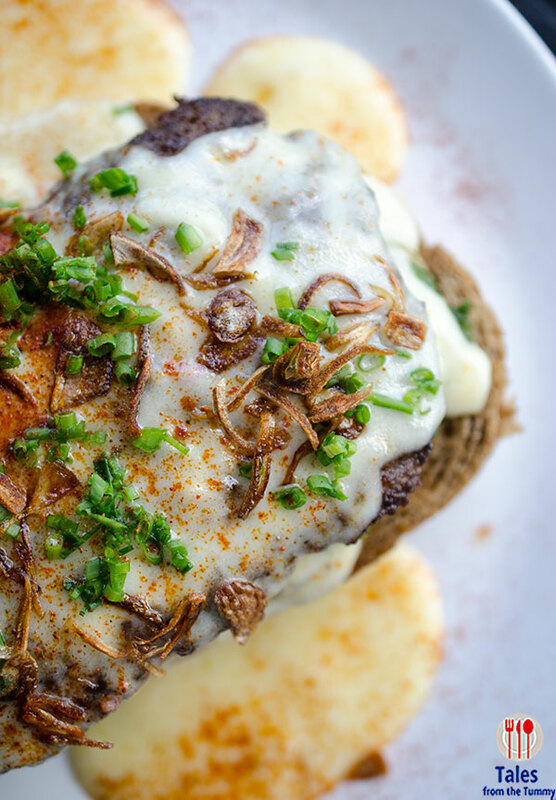 An open faced rye toast with Wagyu beef patty, Emmental cheese, jalapeño and caramelized onions. 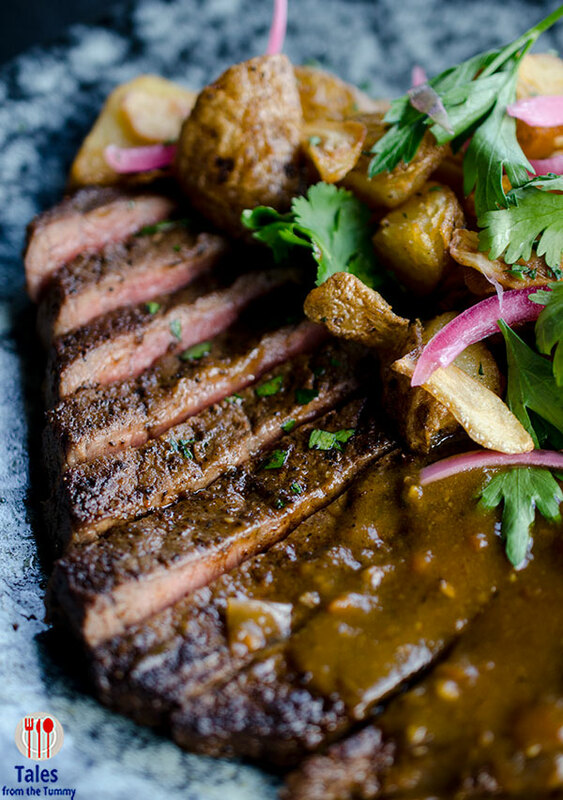 Steak and Fries. A classic dish using a cured top round covered in house rub with potato confit on the side.The cut is leaner but it does have a beefier flavor that I look for. Sardine and Clam Pasta. 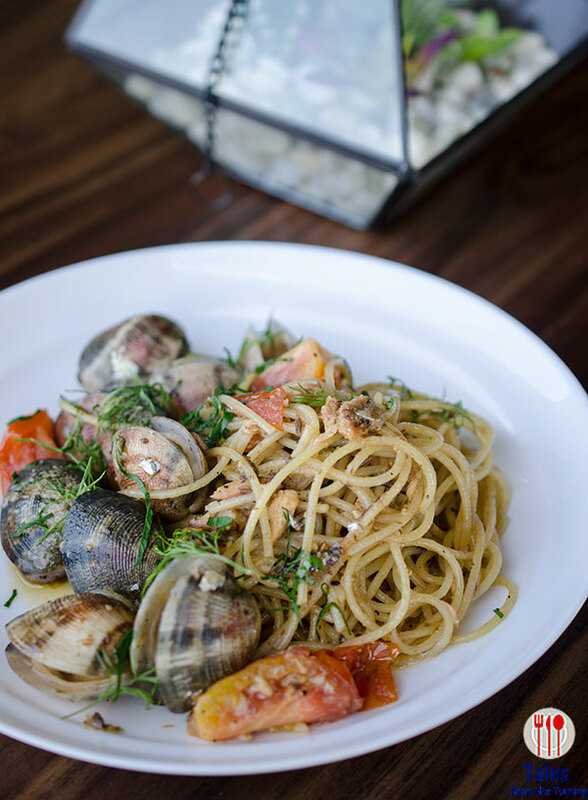 Craving for lighter fare then this fits the bill with it’s generous amounts of nylon clams sardine flakes tossed in spaghetti with olive oil and tomatoes. Half Stacked Pancake. 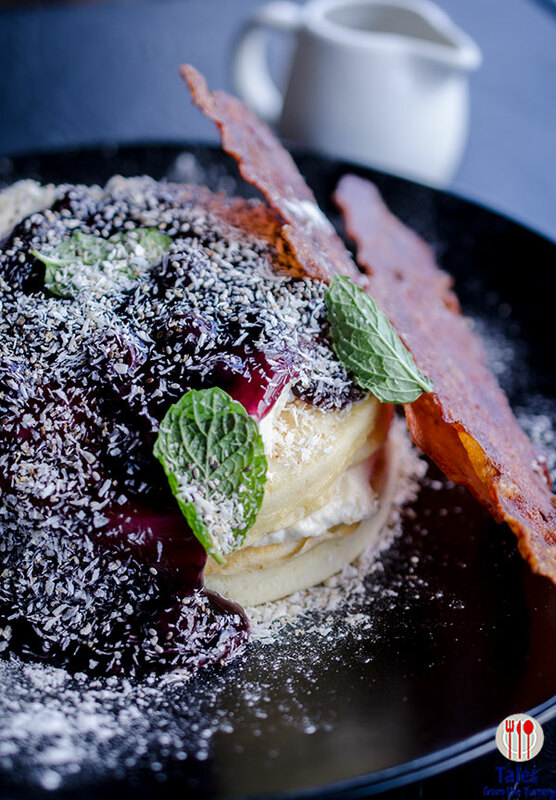 Two fluffy Japanese style pancakes (think Gram pancakes) stuffed with lavender cream in between then drenched in blueberry compote. A surprise on the side is two pieces of crispy bacon.